Korean alcohol is truly a beast unto itself. Because Korea is such an isolated country, the populace came up with some very creative ways to get their drink on. It can be a little intimidating to see all of these intensely foreign liquors when approaching the fridge of your local convenience store, so here’s a guide to the liquors you’re most likely to encounter! 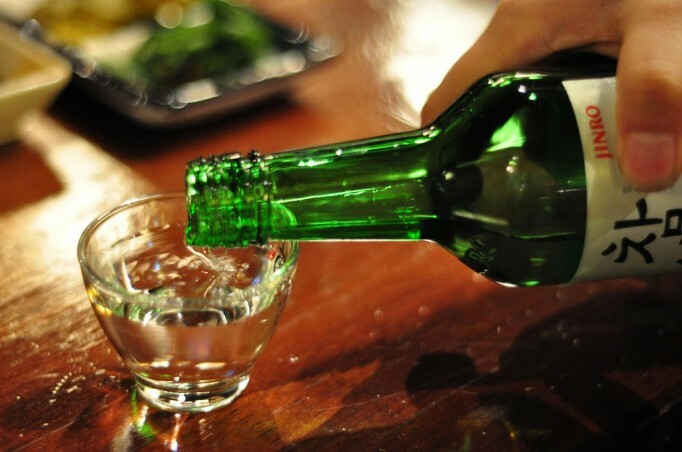 Soju is the most heavily consumed alcohol in the world. 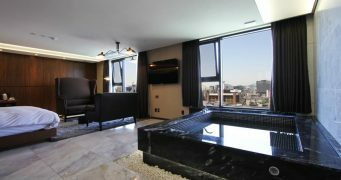 However, the vast majority of units sold are sold domestically, which should tell you just how much Koreans love their soju! Soju tastes like weak vodka and is most commonly served neat and in a shot glass. The most common soju you’ll consume hovers at about 19% alcohol, but more expensive, traditional sojus can top out at a whopping 25% alcohol! Your typical bottle of soju will cost you… let’s just say it’s “cheap as free” (specifically around 1,000 won, less than $1). Many Seoulites don’t feel it’s been a real Korean-style dinner unless soju is involved. There’s really no Korean food that it doesn’t go well. Soju mixed with beer, or somaek (소맥), is also widely popular. 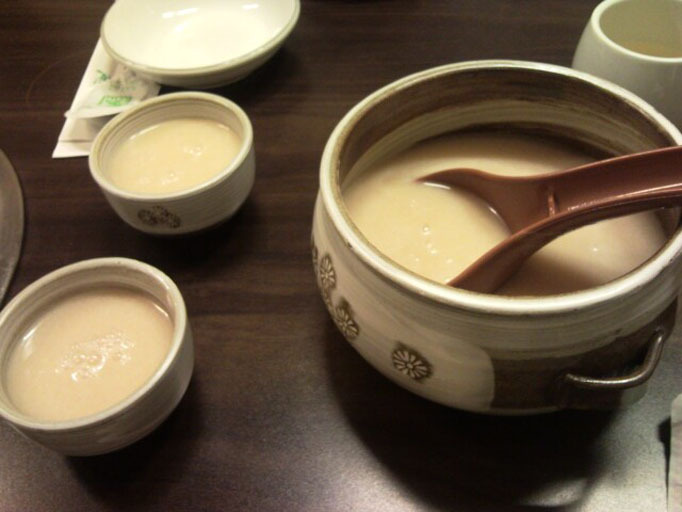 Makgeolli, or “rice wine” in English, is thick and sweet and far less alcoholic than soju. The alcohol content is a good deal lower than soju, hanging out around 6-7%. There are specialty makgeolli brands, with more complex flavor palates and additives, as well as far cheaper alternatives (a bottle can cost you anything between 4,000 won and 30,000 won). By far the best food to eat with makgeolli is pajeon (파전), a savory Korean pancake most commonly made with green onions and kimchi, seafood, or other vegetables. Makgeolli also goes well with spicier foods, serving as a good palate cleanser. 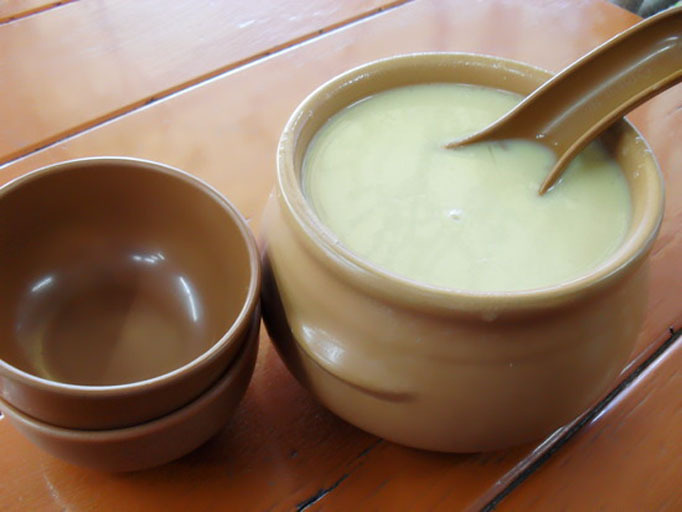 Dongdongju is a type of makgeolli, but is far less widely consumed than its brother. The real difference between the two is that makgeolli has been filtered to take out all of the rice solids after the fermenting process, whereas dongdongju will still have particles of rice in it. Also similar to makgeolli, you can find more expensive specialty dongdongjus, but your average bottle will cost around 4,000 won. Like makgeolli, it’s best with pajeon, but also goes well with twigim (assorted fried vegetables and seafood). 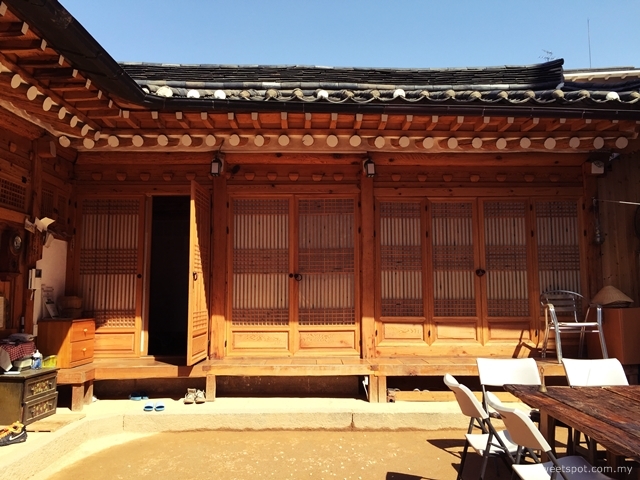 No hiking trip in Korea is complete without sharing some makgeolli or dongdongju at the end! If you’re looking for something to calm your nerves, reach for a bottle of sansachun. 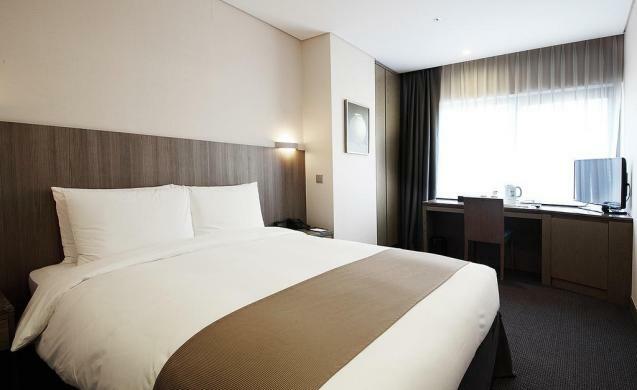 Koreans believe it has a calming, therapeutic effect. Sansachun and baekseju are also known as yakju (medicine alcohols). Supposedly, a shot glass of this a day will keep the doctor away (outta the way, apples!). This drink tastes far better than it smells (unless you like the scent of ripe cheese) and has a pleasing aftertaste. 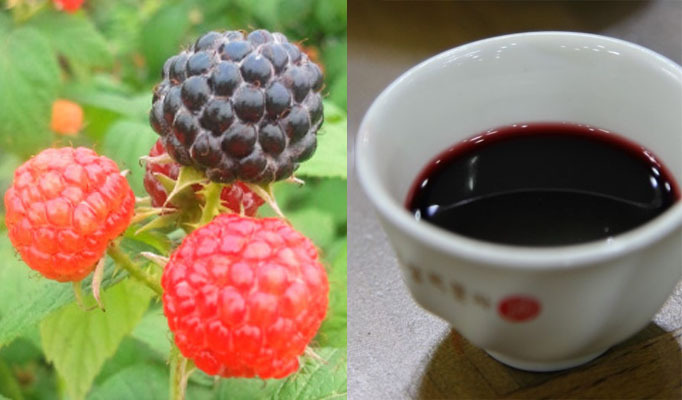 Sansachun is made from fermenting a red fruit connected to the rose family and has a subtle fruity flavor. The average bottle will cost about 4,000 won and the alcohol content is about 14%. This is as close to wine as traditional Korean alcohols get. It’s made from blackberries and is berry (ha!) sweet. Bokbunja has a strong, sweet wine-like taste and isn’t the best mixer, so attacking a bottle alone might be a bit challenging. A bottle of this purple wonder will cost around 6,000 won and has a 15-19% alcohol content. It’s most popularly paired with fish or jjukumi (boiled and seasoned baby octopus). Bokbunja has been scientifically proven to increase testosterone levels and sperm count, but is also known as a drink for ladies who hate soju and need something more palatable, so it’s a win win for both sexes! Baekseju has been produced in Korea as far back as the 17th century! A brother of sansachun, this is another Korean wonder alcohol and is a more potent form of yakju. However, they don’t taste terribly similar. 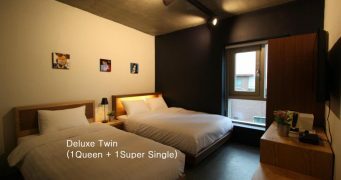 Where sansachun is more sweet, baekseju is nuttier, almost almondy. The most popular way to drink baekseju is as ohshipseju, which is made when mixing baekseju and soju in equal parts. Get it? Baekseju means 100 year old liquor, and ohshipseju means 50 year old liquor! 50/50 mix! Clever! Anyway, baekseju is good to drink with pretty much all Korean meat dishes (the internet recommends boshintang, if you’re adventurous). This is the most expensive Korean alcohol you’ll buy at a convenience store, costing on average 8,000 won a bottle and containing 15% alcohol. This is probably the sweetest among the Korean alcohols. 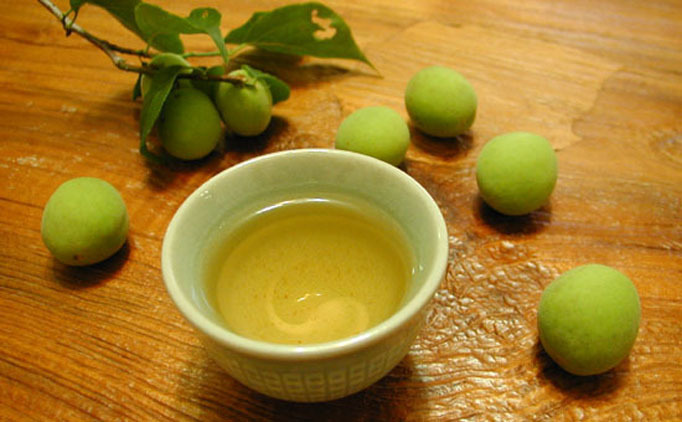 Maeshilju is made from fermented green plums. Most of the time it is sold with some of the plums right in the bottle. It’s super sweet because the plums are fermented along with brown sugar and sometimes honey. This is probably a drink best left on its own, as many Korean dishes would not match well with the intense sweetness. Try it with something more room temperature or colder, like kimbap or moolnaengmyun. A bottle of this will set you back about 5,000 won but, if you can take the sweetness, it will get you drunk with it’s roughly 14% alcohol. Hopefully now you’ll be able to have a more diverse Korean drinking experience. This is by no means a complete list of the things you’ll find and the tastes of each product do vary from brand name to brand name (though not too drastically) and even more if you explore the specialty versions. If you have a chance and some money to burn, try heading to the distillers themselves to taste these alcohols made the way they were supposed to be made. Non-package trips to the DMZ aren’t complete without visiting one of the famous soju distilleries in the area and many Korean foodies will be able to point you toward makgeolli brewers within your area. Happy drinking! Oh, and don’t forget to check out these Korean Hangover Cures for the next day ;). Remember to stop by Margaret’s site, margarettriesbeing.com! There’s this really interesting Korean alcohol I read about I think it’s called 이화주 (? I think….) and it was thick! Like yogurt thick! I have what seem to be a very old bottle of Baekwha Soobok rice wine.It is not your normal size wine bottle but a magnum. Does anyone have the value of this? Unopened and in good condition. Normally I do not read article on blogs, but I wish to say that this write-up very compelled me to take a look at and do it! Your writing taste has been amazed me. Thank you, very nice post. What about 매화수? It’s really popular and in most convenience stores and restaurants.